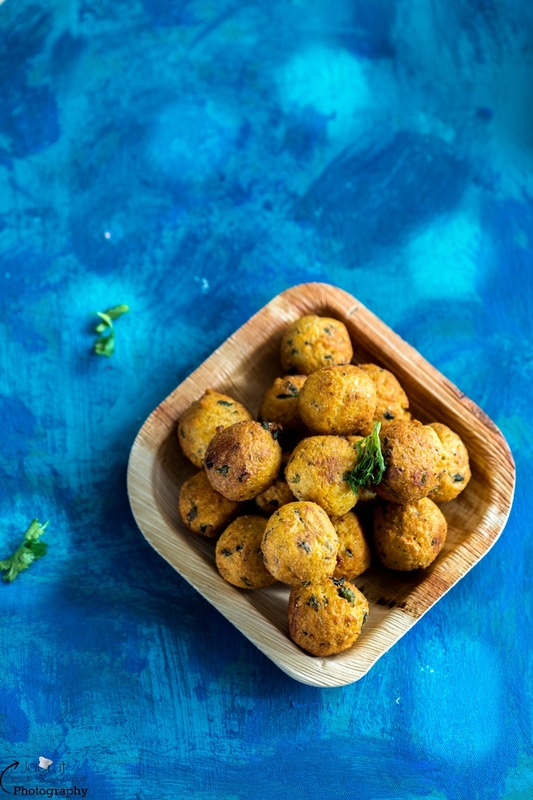 Dakor Na Gota, another classic flavourful, spicy and sensational delicacy from classic Gujarati households. 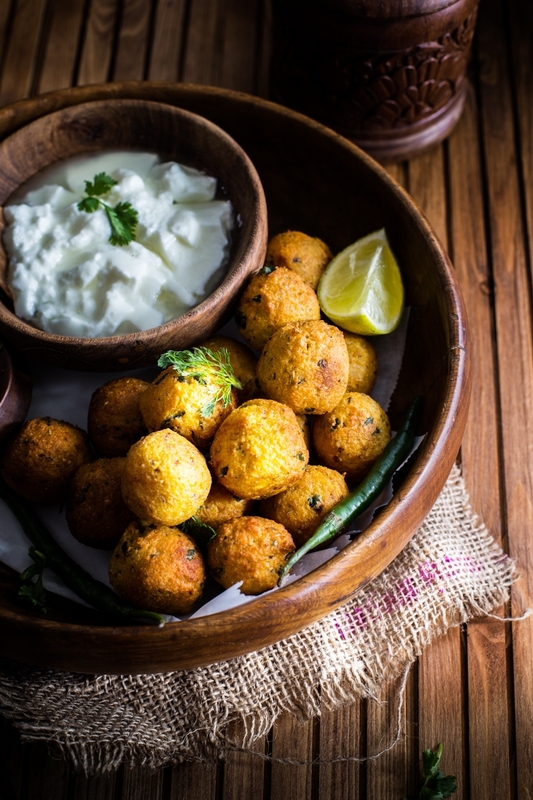 Dakor Na Gota is believed to have originated from the city of Dakor in state of Gujarat which is renowned as Lord Krishna pilgrimage hence the name and Gota means round spiced chick pea flour deep fried balls. Original Dakor Na Gota, which you get in Dakor are made with Dakor Gota Mix without any methi ( fenugreek ) leaves, and the batter prepared with either milk or yogurt and served with thick and creamy yogurt as people believe that Lord Krishna was fond of dairy products and in Dakor they have unlimited supply of milk. I am lucky enough to visit Dakor twice in my life and thoroughly enjoyed my trip and obviously the authentic and famous Dakor Na Gota over there. However in home prepared one you can add finely chopped fenugreek leaves and coriander leaves. Dakor Na Gota, are specially prepared and enjoyed on Sharad Poonam / Poornima with Doodh Poha after playing Dandiya Raas. Sharad Poornima dandiya raas event celebrates Krishna dancing with with the Gopis on this full moon day. It is a must have during the festive season but you are free to enjoy at anytime. The Gota recipe I have today, have prepared with my own homemade gota mix, see recipe here..which is very handy as you never know when your taste buds craves for something hot and spicy or you can find a great escape even if you have unannounced guests pay you a visit. Just add little milk, yogurt or water into Gota mix and Dakor Na Gota ready in a jiffy. So hey guys why don't you prepare these mouthwatering and aromatic Dakor Na Gota this Sharad Poornima ? If you don't have fresh fenugreek, use coriander but DO NOT kasoori Methi. Make a batter of dropping consistency. Leave the batter 5-10 minutes. 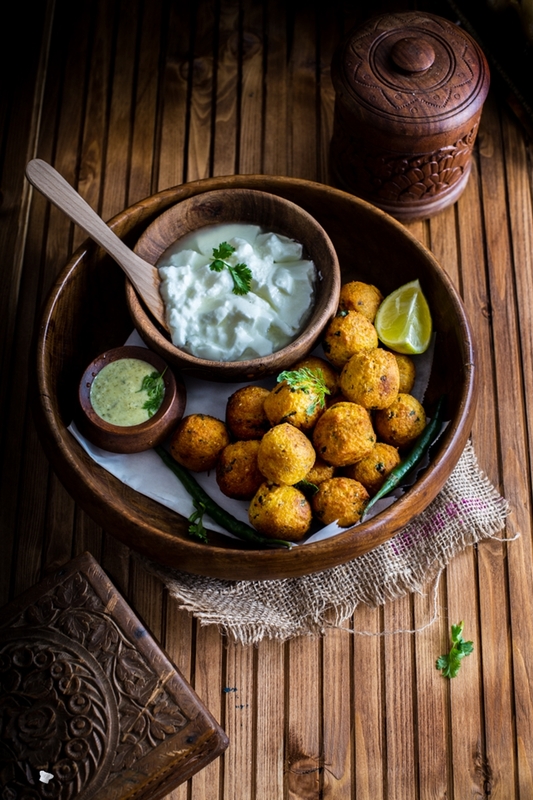 Once again whisk the batter and drop small balls in the oil using your hands or with the help of two small spoons. Fry them on a medium heat until they become golden brown. 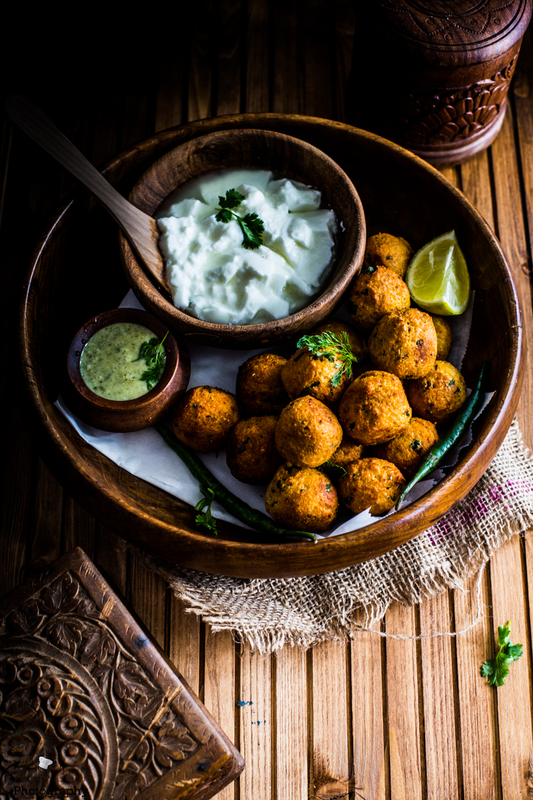 Remove it from the kadai and serve hot with thick plain yogurt, green chutney and Tarmarind chutney. I think you can serve these with tea as well. I've never had these before but they look so delicious, I love fried snacks like this and the flavours in the dakor na gota mix sound so good. Deep fried things are always a winner with me and these looks extra tasty! 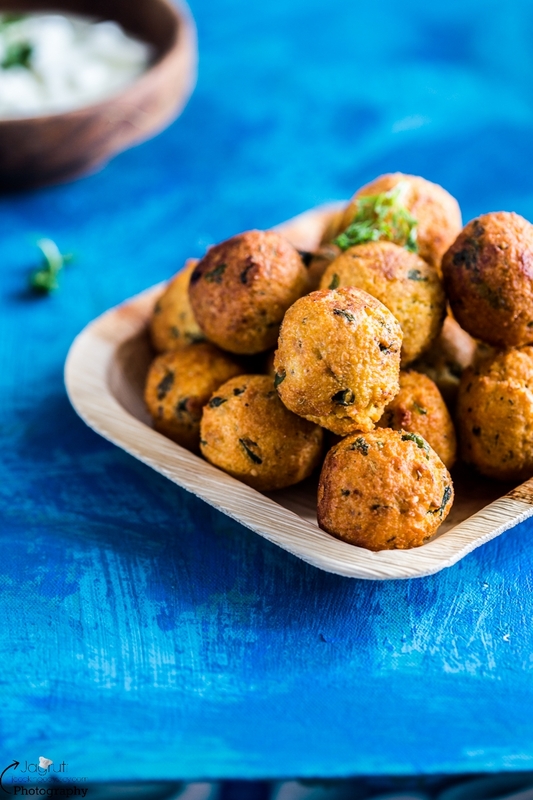 The pics are so enticing that I want to take a bite on these spicy balls. Yum! I'm unfamiliar with these but seeing as they're fried, I bet I'd love them, as would most people. You are using the most unique ingredients in all your cooking. 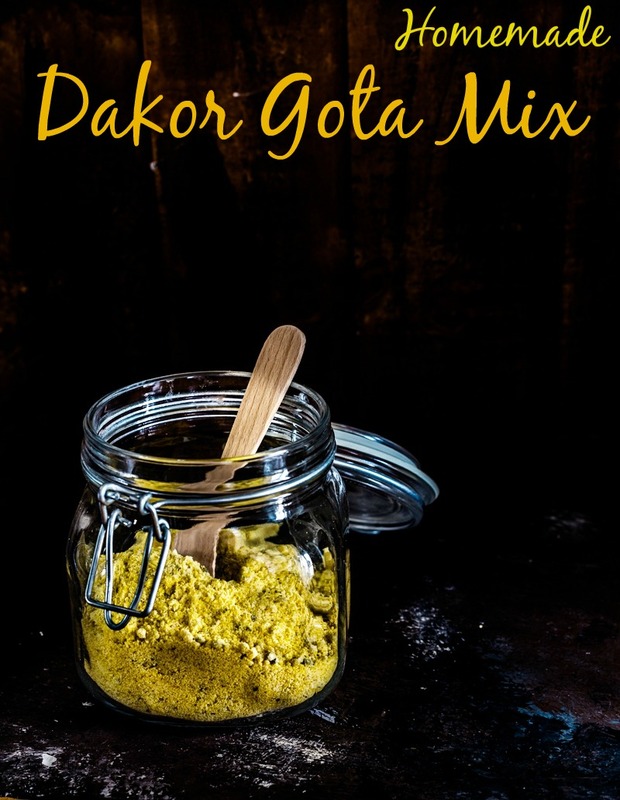 I've never heard of dakor na gota mix. 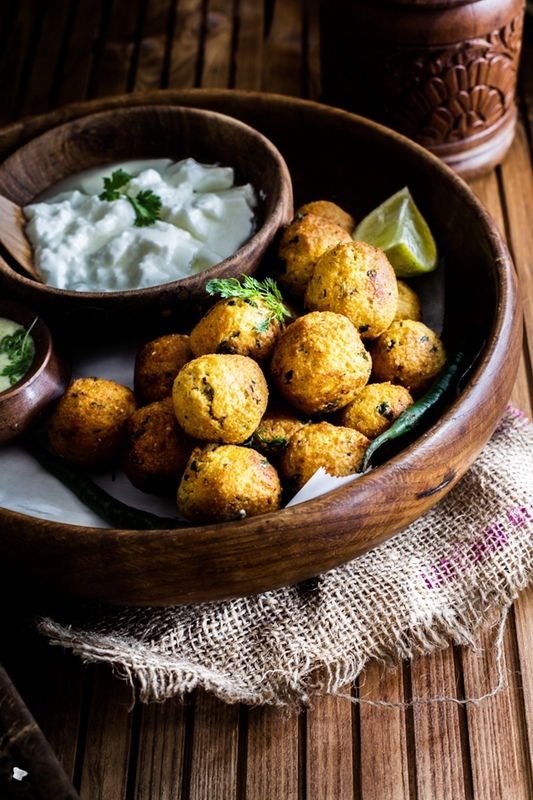 Ohh missing Gujarat , you made me revisit my childhood memories through your post , love all your recipes, but this one stole my heart away, thanks for the lovely recipe. This is new to me also.I do want to taste a piece of it, lovely clicks. That looks super yum and love your presentation. your food photography is amazing and I love this recipe. It's a must try! Wow, these look SO tasty! I've never used fenugreek leaves before. Do they taste similar to fenugreek seeds, which I find taste slightly of maple and bitter. Heard a lot about this dish.. Will check out the ingredients and prepare the mix.. It comes handy on special days. Jagruti, This is an absolute favorite of mine. I like your homemade gota mix- looks better than the packaged ones. Thanks for sharing the secret ingredient! Wow... Dakor Na gota looks absolutely lipsmcaking. These are good to go with evening tea. I loved the homemade got a mix powder idea.